I think many of us can say that we’re missing hockey. Living in the country that is known for it, I’m sure that without hockey, it is taking a toll on businesses and fans who are not able to watch and cheer for their favourite team. To be quite frank, I (and many others) hope the NHL Lockout resolves soon. Sure there are plenty of other things to see and do in Vancouver, but without hockey, something is just missing. 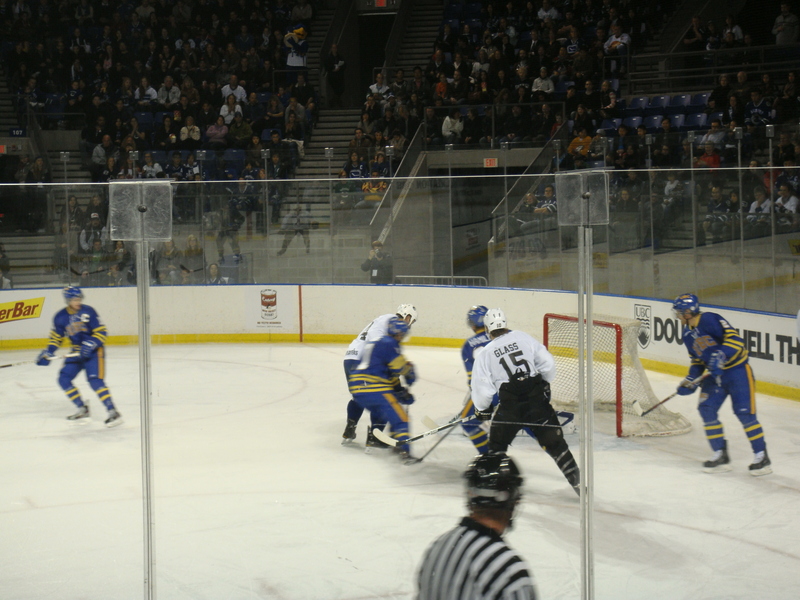 Kevin Bieksa decided to throw a charity hockey game to aid 3 different charities: The Canucks Autism Network, Canucks Family Education Centre and Canuck Place Hospice. They have all been affected by the lockout as they depend on the NHL games to draw in their funds. You could have easily predicted that this would be a sold out game; it sold out in 20 minutes! The selling out meant that it would draw in a minimum of $100,000 at $20 a ticket (5,000 attendees). 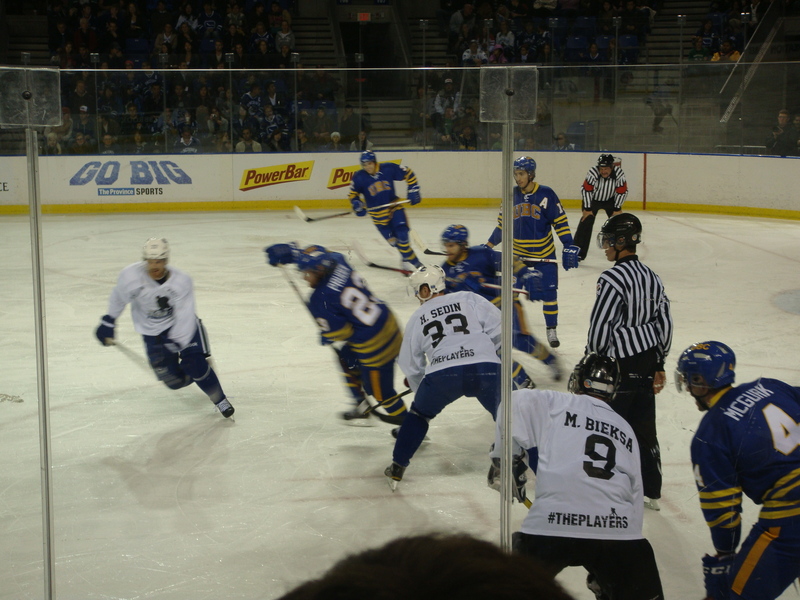 I was lucky enough to attend the Bieksa’s Buddies Charity Hockey Event in Vancouver last night (thanks to the bf!). It sure was entertaining! You could tell that all the players had a great time and it was all in fun. The roster for tonight’s game. 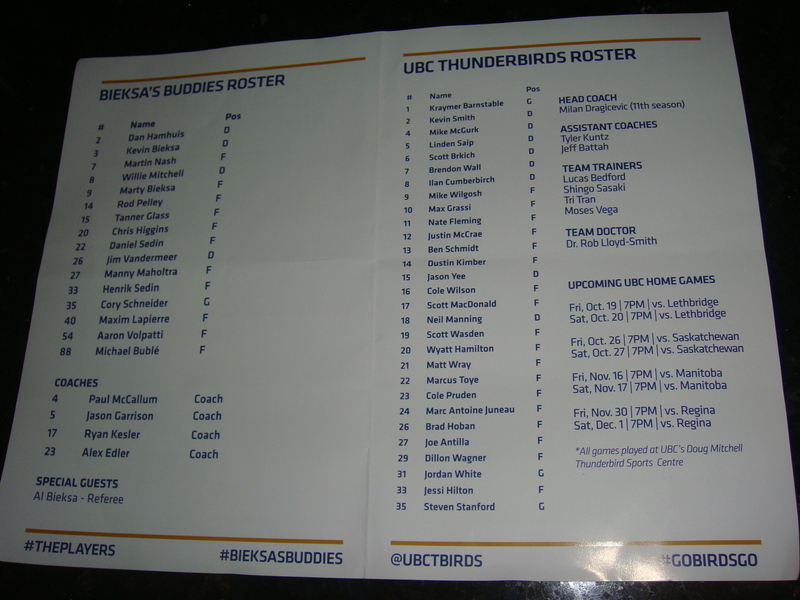 Michael Buble was on the roster! Supposedly he pulled out of the game last minute though and decided to match the $100,000 that was brought in and donate instead. Awesome! 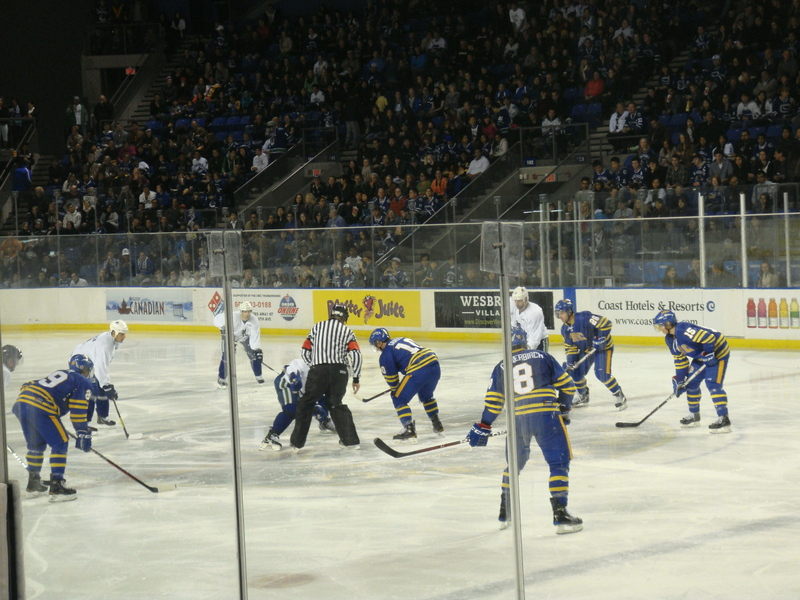 The game ended with the NHL Players winning 8-7 over the UBC Thunderbirds. 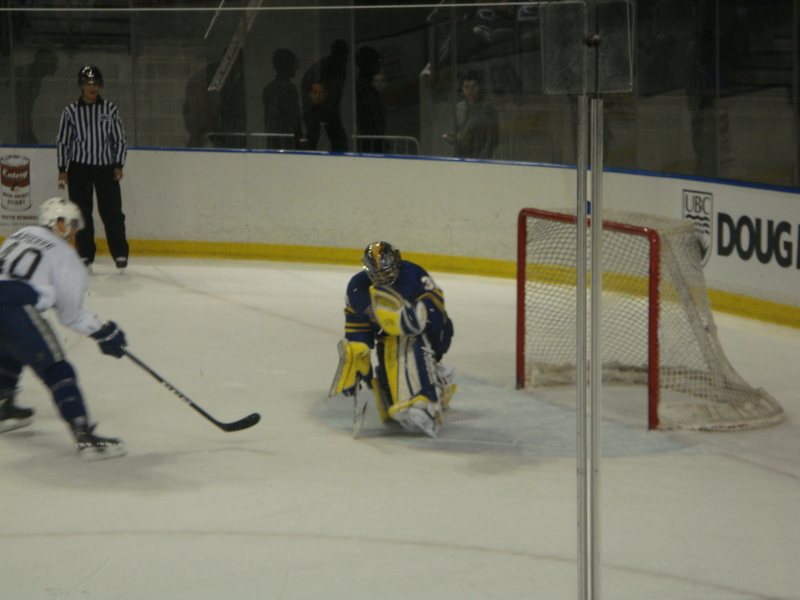 After the game, some players from each team participated in a shootout. 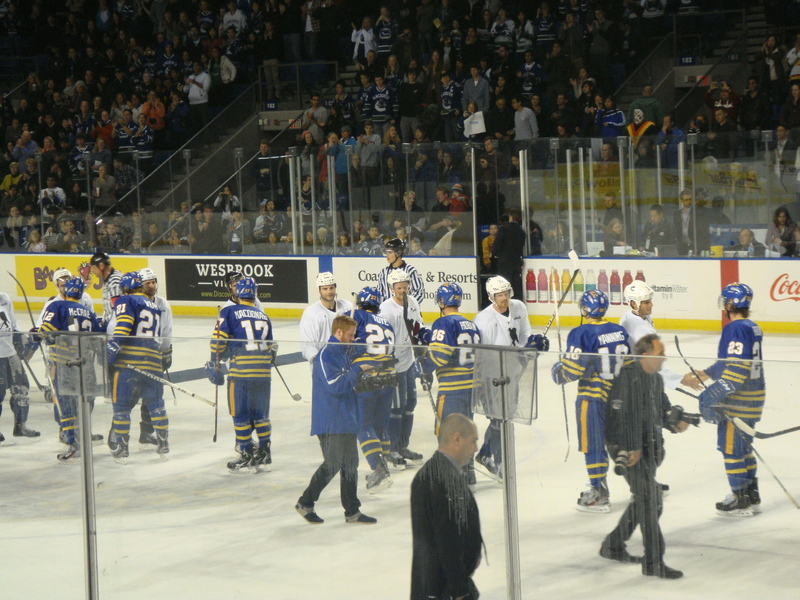 It was a great experience and here’s to hoping for the NHL players to start playing again! Previous Post Kale Chips: Have More Than One!